Second, I doubt there will be any serious traditional horizontal concern about combining Amazon’s small shares of the offline grocery business — depending on how the grocery market is defined here. 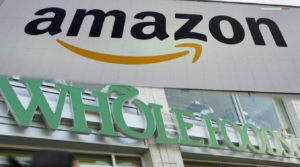 Why this dominance is especially noteworthy is because ILSR’s excellent report on “Amazon’s Stranglehold” about Amazon’s exceptional dominance, reports a survey that indicates that99% of Amazon Prime subscribers do not check other sites prices! Wow.